As wonderful as the city is, taking a day trip from Vienna should be one of your priorities when visiting Austria’s capital. Situated on the banks of the Danube river, Vienna has a historical and cultural legacy unmatched by almost any other city in the world. Home to some of history’s greatest thinkers and artists, like famed psychoanalyst Sigmund Freud and musical genius Mozart, Vienna’s creative legacy lives on today in the immersive culture of this spectacular city. Vienna is full of impressive imperial grandeur paying homage to the Habsburg monarchy, which called the city home for over six centuries. Baroque streetscapes, imposing palaces, and incredible musical and artistic heritage are just some of the aspects of Vienna that have captivated the minds and hearts of visitors throughout history. 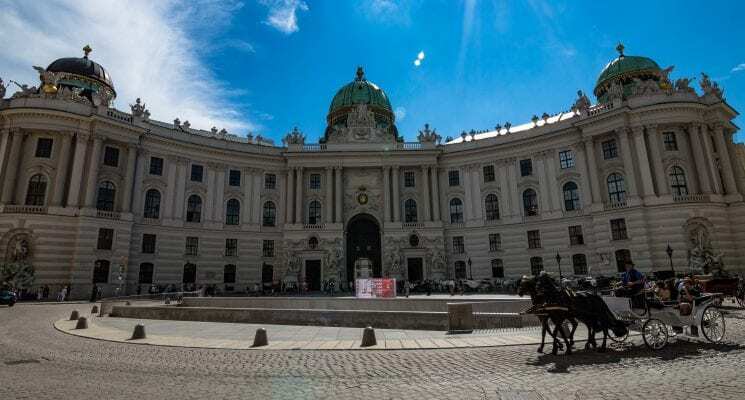 With hundreds of fascinating museums, Viennese coffee houses, and musical venues to try out, you’ll soon get a taste for Austrian life and culture. If you want to make sure you don’t miss out on any of Vienna’s sightseeing opportunities, and you are on a limited schedule, why not check out a tour around the city itself? You’ll see all the highlights, and get an educational lowdown from an informed guide who knows Vienna like the back of their hand. If you’d prefer to go solo, check out our list of fascinating things to do in Vienna to get some ideas. We spent about a week exploring this fascinating city, and have a bunch of tips for you guys to check out. Once you are done with that make sure to stray from the typical tourist spots by getting off the beaten path in Vienna. 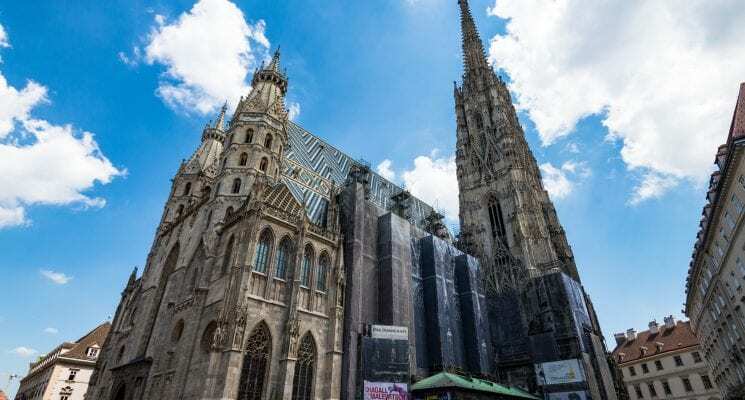 If you’re wondering where to stay in Vienna on a budget, and are looking for a good Vienna hostel, then we’ve got you covered with our guide to the best hostels in Vienna. Your Vienna itinerary is likely to be packed out already, with so much to see and experience right at your fingertips. 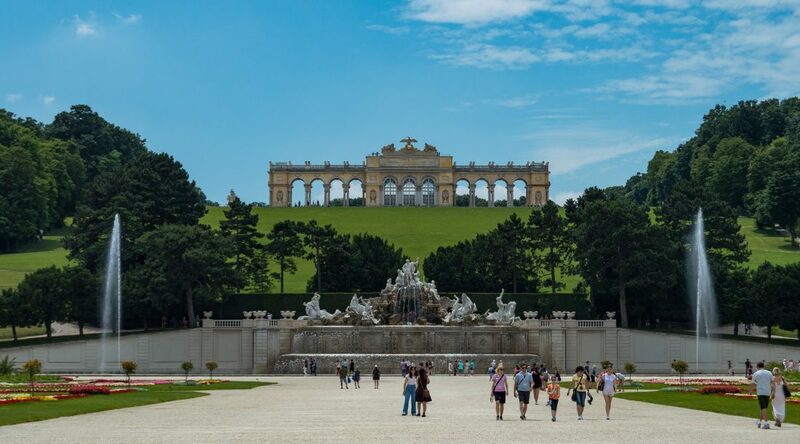 However, if you’re looking to expand your horizons with Vienna day trips, there are many destinations waiting to be discovered. We’ve compiled a list of the best days trips from Vienna to help you narrow down your options and make the most out of your Austrian getaway. 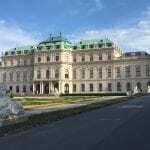 So, without further ado, let’s get you acquainted with some of the easiest and best Vienna day trips! Hallstatt is a charming village situated on the banks of Lake Hallstatt’s western shore in Austria’s mountainous Salzkammergut region. 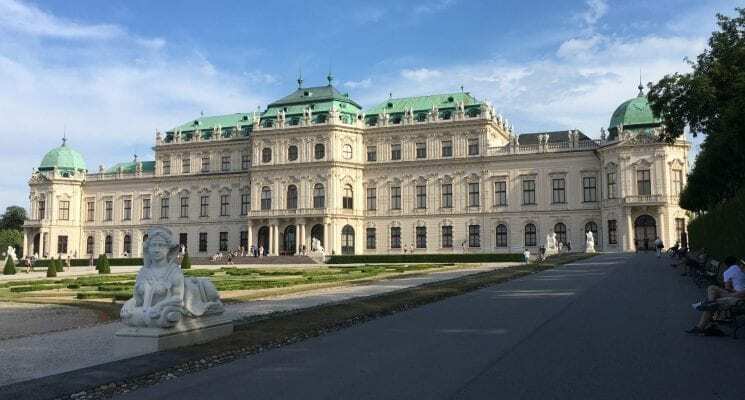 It is undoubtedly one of the places you should not miss when exploring Austria, and makes for a great day trip form Vienna if you are short on time. For such a small place, Hallstatt attracts hordes of visitors every day, which means it can become quite busy especially in summer. The village, with its pastel colored houses and quaint churches, is reflected in the crystal clear waters of the shimmering lake, and set to a backdrop of towering mountains, the whole scene is truly a mesmerizing sight to behold. Although it’s small, there’s plenty to do if you decide to visit this area of spectacular beauty. Wander the 16th century streets of Hallstatt, stopping in shops and cafes as you marvel at the beauty of the lake and surrounding mountains. Take the funicular to the ancient salt mine and subterranean lake of Salzwelten, and get your camera ready at the Skywalk Hallstatt viewing platform, where you’ll be blown away by the picturesque scenery from above. Then you can walk the trail that leads to the Echern Valley glacier garden, where you’ll find the incredible Waldbachstrub Waterfall. This sublime part of Austria shouldn’t be missed for anything, so we highly recommend making Hallstatt one of your Vienna day trips. Getting to Hallstatt from Vienna – Trains from Vienna to Hallstatt leave daily and take around 3.5 hours, including one transfer in Attnang-Puchheim. The train station of Hallstatt is located on the opposite side of the lake, so once you arrive you’ll take a small ferry across to the other side. Arriving by boat is an amazing way to take in the beauty of Hallstatt from afar. 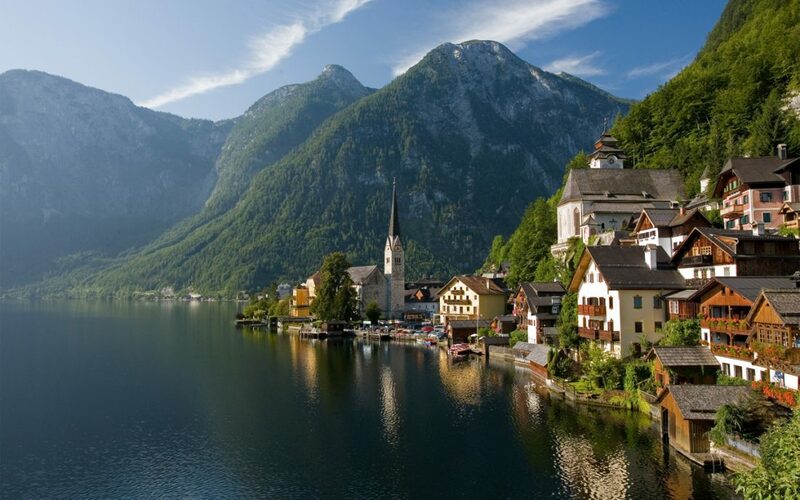 Interested in taking an organized tour of Hallstatt, click here to explore options. The Wachau Valley’s natural beauty, spectacular vistas, and rich history make this one of the best day trips from Vienna you could possibly take. The Danube River winds its way through the valley, past spectacular monasteries, fairy-tale castles, and charming villages. You can spend a wonderful day exploring the valley’s history and culture, taking in the incredible natural beauty, and sampling the famous food and wine of the region. The valley’s main attraction is the grandiose Benedictine Melk Abbey. Melk Abbey sits high on a hilltop overlooking the valley. The vast Abbey houses priceless art, a museum, the Marble Hall featuring original frescoes, and stunning gardens. The Abbey Church is renowned as one of the finest examples of Baroque architecture north of the Alps, and houses magnificent 18th century paintings. Give yourself a few hours to explore the vast abbey and marvel at the spectacular views, and then head down to the town below to re-energize yourself with some traditional Austrian food and delicious wine at one of the countless cafes and restaurants. Getting to Wachau Valley from Vienna – The best way to explore the Wachau Valley is by car, so you can go at your own pace and stop off at whichever castle or village takes your fancy. 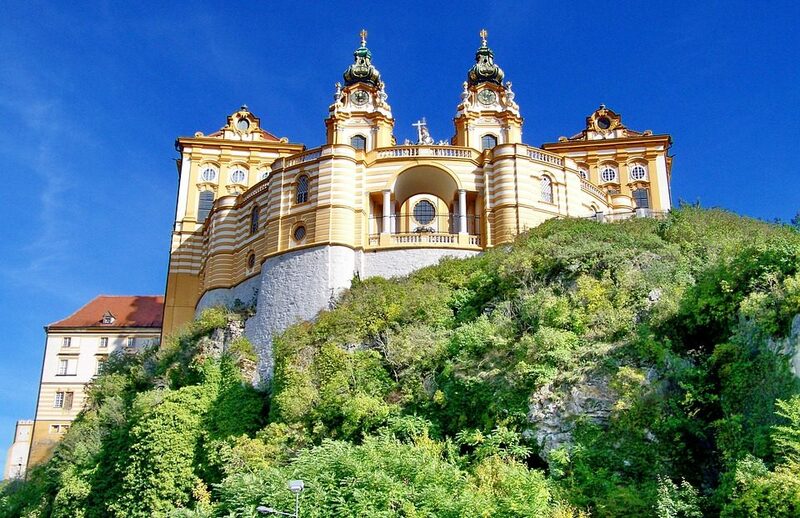 Melk Abbey can be reached in just one hour by train from Vienna. Trains depart twice every hour from Vienna Hauptbahnhof. A more exciting way to reach Melk Abbey is on a cruise down the Danube! Take the train from Vienna to Krems, and then hop on a river cruise that lasts just under 3 hours. 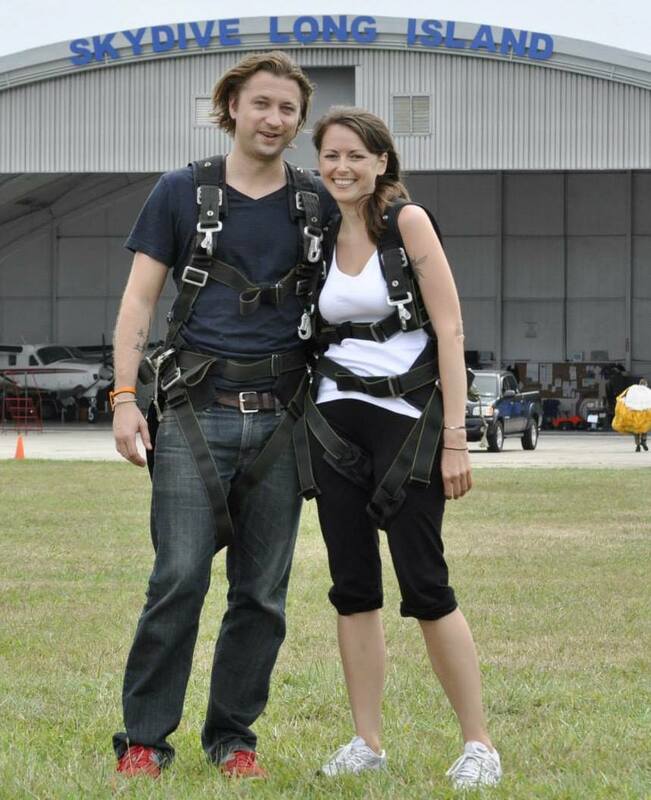 Interested in taking an organized tour of Melk, click here to explore options. The Vienna Woods (Wienerwald) have long been a favorite getaway for the Viennese people. Taking a day to explore the woods and all that they contain is a great day trip from Vienna that will be truly memorable. The breathtaking natural beauty of the Austrian countryside is super impressive, and provides a serene escape from the city without having to travel too far. If you’re into outdoors activities such as hiking and biking, then this is the perfect place for you. 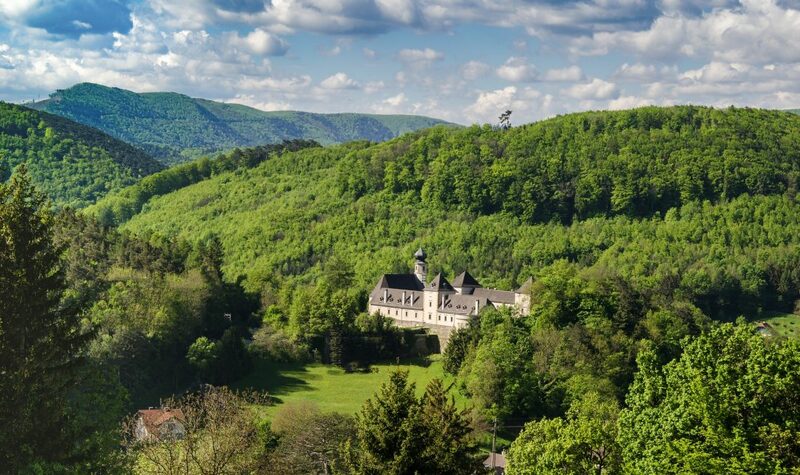 This forested highland region spans the area northwest and southwest of the capital, and is one of the best day trips from Vienna for nature lovers. The area has been mentioned in songs and stories from the region for centuries, which reflects its special place in the hearts of the Viennese. Over the years, the Vienna Woods have inspired famous Austrians like Beethoven, Strauss, and the Habsburgs. The woods are dotted with charming castles, spectacular monasteries, and natural wonders which will take your breath away. Vienna’s mini-mountain, Kahlenburg, stands at 484 meters and is a great place to start by orienting yourself with stunning views across the city, all the way to the Little Carpathian mountain range. Heligenkreuz Abbey was constructed in 1133, and is the oldest continuously occupied Cistercian monastery in the world, and is an architectural masterpiece. Liechtenstein Castle is located on the edge of the Vienna Woods. It was built in the 12th century, but was destroyed by the Ottomans and remained in ruins until it was rebuilt in 1884. The castle looks like something straight out of a Disney film, and is well worth a visit! Take a guided tour and learn all about its fascinating history. Another impressive attraction which can be found in the woods is the subterranean lake and caverns of Seagrotte, Europe’s largest subterranean lake. Seagrotte was accidentally formed in 1912 when a blasting operation went awry, causing extreme flooding in the area. Now it’s a beautiful and mysterious attraction which visitors can explore by boat. Visiting the Vienna Woods is one of the best day trips from Vienna if you want to experience the natural beauty of the Austrian countryside and the fascinating history that it houses. Getting to Vienna Woods from Vienna – The best way to explore the Vienna Woods is by car. Spend the day winding your way through the valleys and villages, stopping at historical churches and monasteries as you go. Stop for a bite to eat in one of the charming towns your encounter along the way, where you can try some traditional food and meet the locals! Interested in taking an organized tour of Vienna Woods, click here to explore options. You can reach Slovakia’s capital, Bratislava, by train from Vienna in under an hour! Explore a different country and a different culture for an affordable and hassle-free Vienna day trip. Perched along the banks of the Danube, Bratislava combines the old and the new with architecture reflecting the city’s historic past, and more recent Soviet rule. Bratislava castle is the city’s main allure, which sits formidably upon a plateau overlooking the river. The Old Town is pedestrian only, and feels like it’s straight out of a period drama, with its cobbled streets, pastel colored buildings, and sidewalk cafes. While you’re exploring the Old Town, you should definitely pay a visit to the Bratislava City Museum and Michael’s Gate. Stop for lunch at one of the countless traditional cafes and restaurants, and energize yourself for the rest of the day. If you’re weary of city life and want to get out into nature, then one of the many hiking trails in the Little Carpathian mountains close to the city is a great starting point to get some fresh air and do some meditative hiking. In such close proximity to Vienna, it’d be a shame to miss out on the opportunity to visit Bratislava on a day trip! Getting to Bratislava from Vienna – You can reach Bratislava from Vienna Hauptbahnhof in just one hour, with a train leaving twice per hour. If you’re feeling more adventurous, you can take a catamaran along the Danube between the two cities. The catamaran journey lasts 75 minutes and leaves five times per day in each direction. Interested in taking an organized tour of Bratislava, click here to explore options. Despite the fact that Salzburg is a relatively small city, there’s plenty to see and do here that make it one of the best day trips from Vienna, and one of the most beautiful cities in Austria. This city lies on the banks of the fast-flowing Salzach River, with the fairytale medieval and Baroque buildings of the Altstadt (Old City) on its left bank, and the more modern buildings of the 19th-century Neustadt (New City) on its right. An imposing fortress sits formidably on a cliff high above the city, which is set to an inspiring backdrop of the Bavarian mountains. You’ll have a hard time putting your camera down, trust us. Known for being the birthplace of Mozart, arguably the world’s most famous composer, as well as a setting for the canonical film The Sound of Music, Salzburg retains a modest atmosphere which adds to the beauty and serenity of this charming city. With a fantastic arts and music scene, peaceful parks, and wonderful cuisine, there’s plenty to keep you busy if you choose Salzburg as one of your day trips from Vienna. 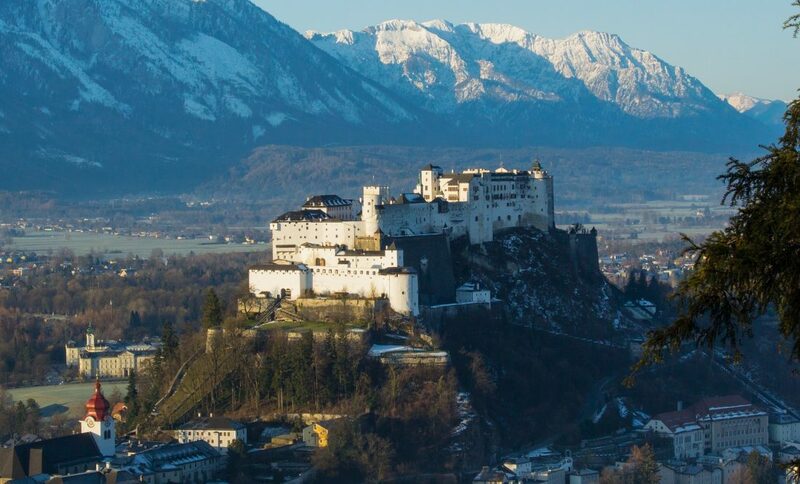 Some of the city’s must-see attractions include the opulent 17th century Mirabelle Palace, the Hohensalzburg fortress which dates back to the 11th century, and a museum dedicated to Mozart which displays his childhood instruments. Getting to Salzburg from Vienna – The journey from Vienna to Salzburg is around 300 km, and takes 2.5 hours by train or 3 hours if you decide to drive it. The journey itself is an experience, as you’ll be treated to breathtaking scenery the whole way! 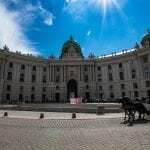 Interested in taking an organized tour of Salzburg, click here to explore options. Although it’s a bit more of a stretch to reach Budapest from Vienna, if you’ve got the time then we highly recommend visiting Budapest as a (at least) day trip from Vienna! It’s definitely doable, at 300km away, the train journey takes about 2.5 hours. And it would be better to see Budapest on a day trip than skipping it entirely. One of the best things about Europe is having so much history, culture, and natural diversity in such a small area. So take a day trip to another country and visit the Hungarian capital for the day! Known as the “Paris of the East”, Budapest sits on the Danube river and is a UNESCO World Heritage Site. Budapest is full of stunning architecture that captures the city’s history through a range of styles, from Baroque to Neoclassical and Art Nouveau. The 18th century Buda Castle sits atop a hill overlooking the city, and is definitely worth a visit. 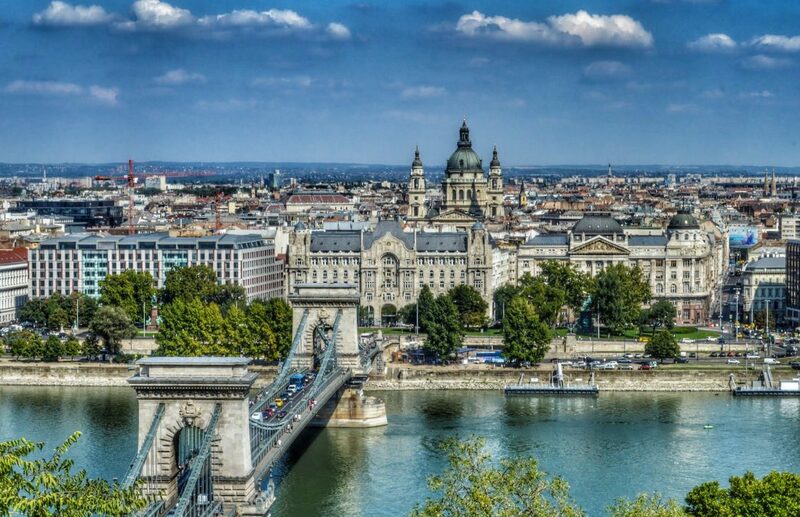 Spend the day exploring the winding streets, learning about the fascinating history, soaking in the therapeutic springs, and sampling the Hungarian cuisine – and be back in time for bed! You’ll definitely have a hard time trying to fit everything in, so make sure you do your research and know exactly what you want to see before you go! Getting to Budapest from Vienna – The fastest and easiest way to get to Budapest from Vienna is by train. There are direct trains between Vienna and Budapest every couple of hours throughout the day. The journey takes 2.5 hours, taking you from the Wien Hauptbahnhof (Vienna) to Budapest Keleti (Budapest) train stations. You can also take a bus, which will be significantly less expensive but will take slightly longer and you won’t be delivered to as quite a central location in either city. Interested in taking an organized tour of Budapest, click here to explore options. Now, this is an even bigger stretch than Budapest, as Prague is further away by train or bus from Vienna. However, it’s possible to experience a few hours in Prague on a day trip from Vienna, especially if you book the right tour company. Do we recommend that you do this? Heck no! Like Budapest, Prague deserves days upon days of its own exploration. How do we know? Well, we’ve lived there for over three years, and it’s one of our favorite cities in the world. 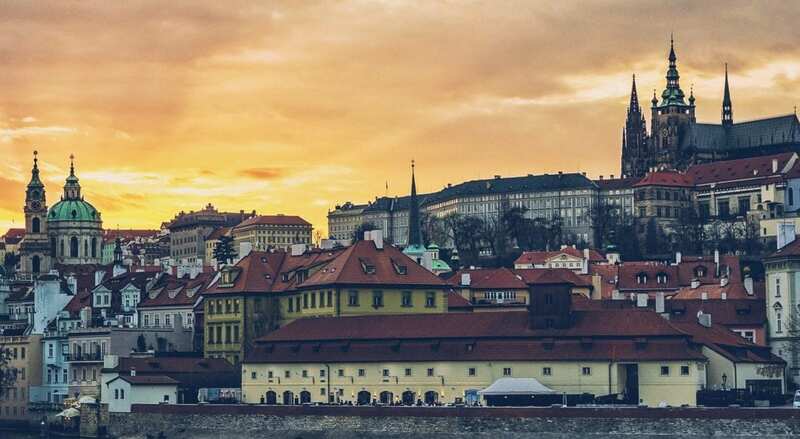 We’ve even written a “couple” of articles on Prague, so make sure to have a look. Anyway, if you are going to miss out on Prague entirely then do yourself a favor… and don’t. Visit it on a Vienna day trip if need be, but spend at least some time in this city, and then plan your return at a later date. 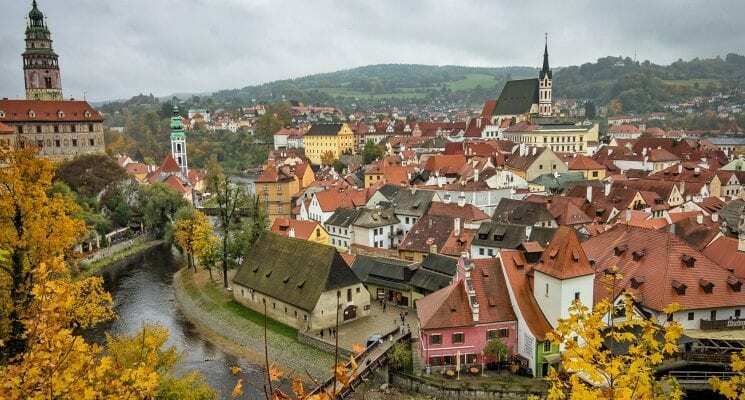 Getting to Prague from Vienna – The quickest way to get from Vienna to Prague is via train, but the bus is almost as good an option. If you take a RegioJet bus your trip might actually be more comfortable than if you were traveling by train. Multiple connections of both modes of travel depart each city daily, so you shouldn’t have any issues getting from Vienna to Prague, or vice versa. Interested in taking an organized tour of Prague, click here to explore options. Disclaimer – We have included a few handy little affiliate links in case any of our readers want to book car rentals or a tour. We receive a small commission for any sales made, without any additional cost to you, our dear reader.